She was right on the money: comics, indeed. KM was a senior in high school when we met 5 years ago. When I was a YA librarian, he sent me an unsolicited email, asking me to be an advisor on his senior project on comic books — There was no MySpace or Facebook back then — he found me because I’d posted a webpage about my BWI/YALSA Collection Development Grant that I used to start a graphic novel collection. I learned as much about comics from him as he did from me. We’ve evolved from a mentor/mentee to peer relationship since, and usually go to a comic book spin-off movie once a year. It’s good to be accessible. I see a LOT of library homepages that don’t include the name or email address of the YA librarian. Teens need adults that care about them to act as mentors and role models. 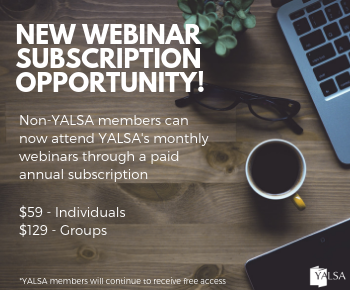 The YALSA/BWI Collection Development Grant is a great opportunity for materials growth and easy to apply for. Applying for grants gets you more than just money. Along the lines of this age thing, in my Pain in the Brain class, we’ve been having a really interesting discussion about RESPECT. It is assumed, or earned? Are people respected for their age, title, and status, or their experience, expertise, knowledge and skills? Someone mentioned the Internet as a great leveler — you don’t know someone’s age unless they volunteer it (or, you ask). It doesn’t feel strange to me to have friends that range from 24-54 — or to be friends with a mom, and someone who is the age of her child, as well. At ALA, in a session on millennials, I heard “They don’t want us in their space.” Do you agree, or disagree? Since literacy is listed as an area of support, perhaps libraries can apply for funds to support their Teen Read Week efforts. Learn about Teen Read Week online at www.ala.org/teenread. 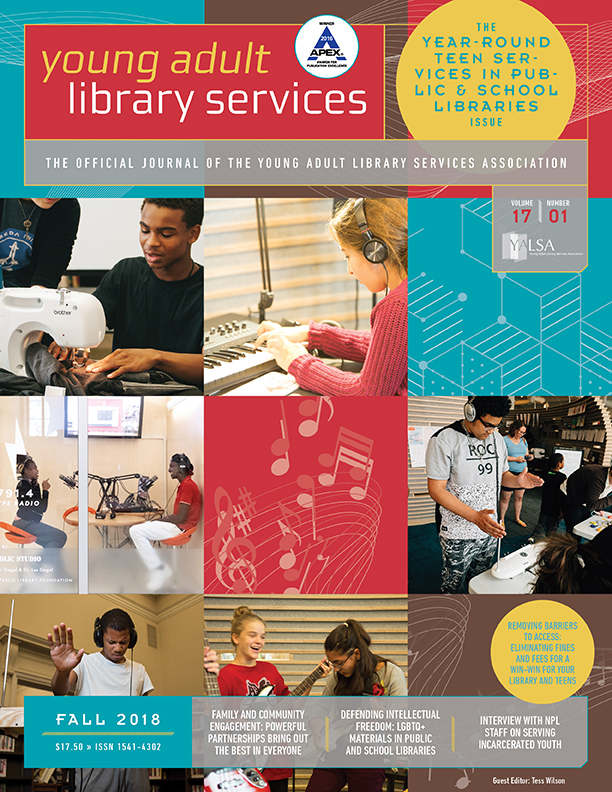 The International Federation of Library Associations and Institutions (IFLA) is looking for librarians and library workers to share their best practices in serving young adults. Submissions will be compiled and shared via the IFLA web site. If you’d like to participate, just download the online form, fill it out and return it to IFLA. To learn more about their best practices effort, visit their web page. Questions can be directed to Ms. Ivanka Stricevic, whose contact information is available on IFLA’s Libraries for Children & Young Adults Section’s web site. At the YALSA 50th Anniversary Party Erin Downey Howerton talks with librarians from several different generations. Past presidents of YALSA talk about publishing and YALSA history, new librarians discuss why they are looking forward to being involved in YALSA, Spectrum Scholars discuss why YALSA, and Emerging Leaders provide their take on conference and ALA.
What’s your favorite YALSA memory? You can get it published in YALS! What’s your best conference memory — or your worst? How many books did you have to read when you were on a selection committee? How did it feel to win a YALSA grant or one of our contests? 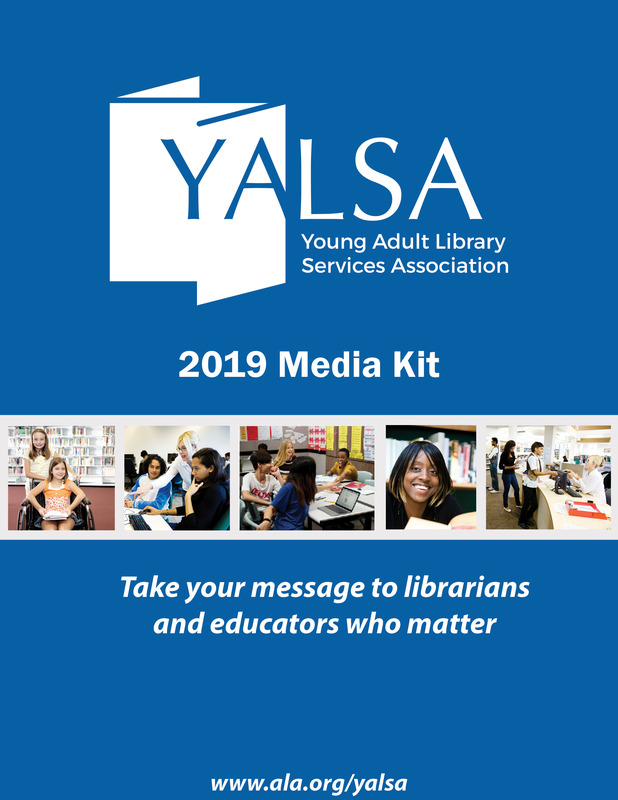 What did you do when YALSA called to tell you that you won? What other YALSA memories do you want to share? Share your memories on the 50th Anniversary Wiki’s YALS page. We’ll take the funniest, most interesting, and thoughtful responses to reprint in YALS. Make sure to leave your name and email address with your entry, so we can get in touch with you and credit you properly. Deadline for submissions is July 10, 2007. Questions? Want to share your memories privately? 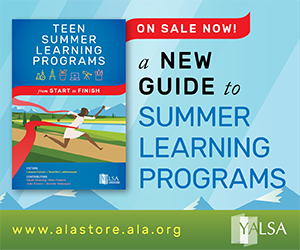 Then contact Editor Valerie Ott (vott724@yahoo.com) or YALSA Communications Specialist Stephanie Kuenn (skuenn@ala.org). In this podcast Joseph Wilk talks with librarians at YALSA’s YA Author Breakfast about what it’s like to meet a YA author. Following the librarian interaction Joseph reflects on the YA Author Breakfast experience. I began my YALSA work as a member of the Publications Committee. Eventually, I became chair of the committee and, after recommending YALSA do a revision of their popular HIT LIST, found myself as co-author of that work. I served on TAGS, Professional Development, and now Preconference 2008. All of the committee work has been informative and highly enjoyable. I have met so many folks who have gone on to become friends over the years. 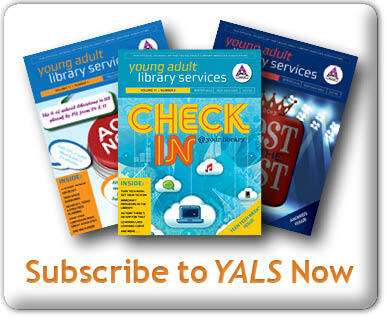 Fill out a form and get active in YALSA. PS: I was in a local bookstore yesterday and can report that YA is alive and well there. I was amazed at the variety of the selections. There were 3 teens there reading graphic novels and manga as well as teens browsing the shelves. Such a good feeling. Check out the Publishers Weekly web site to read up on the new YA First Novel award coming soon from YALSA. As the article notes, the award honors Bill Morris who was a long-time advocate of teen literature, teens, and libraries. January 2009 is the date for the first award.